I love that with Frontier Communications I am always learning something new about my Vantage TV. Like, did you know Frontier has a channel where you can stream your Netflix account?! It's awesome. And if you're like me and binge watch Netflix shows and movies, this channel is perfect for YOU! Plus, it's super easy to set up. All you have to do is, go to channel 1800 and ta da there is your Netflix channel. Simply log in and stream all your favorite shows or movies from your Netflix subscription. It doesn't get much easier than that. No more switching from cable to the Xbox like I usually do. I know with the newer TVs you have the option to go to your menu and load Netflix, but this is a much easier option. Just change your channel and there is your Netflix. Everything loads super quick and I love that it's so easy to use, even my daughters can do it! Kudos to Frontier Communications for thinking about all of us Netflix junkies ;). And I'm sure you're thinking because I did too, is there a hidden fee and the answer to that question is NO! No hidden fees. No commercials. No hassles. So what are you waiting for?! Make the switch to Frontier Communications and start using their Netflix channel. But wait, that's not all Vantage TV offers. Stay tuned as I continue learning about everything Vantage TV offers, I'm excited to learn about their games! If you made the switch, whats your favorite thing about Vantage TV? For more information about Frontier Communications. Visit them online at http://frontierct.com/ or call 1-888-900-1103. DISCLAIMER: All services received are complimentary for testing purposes from Frontier Communications. All opinions stated are my own and are not influenced by any affiliates. We are obsessed with Netflix. We literally watch something on there every single day. 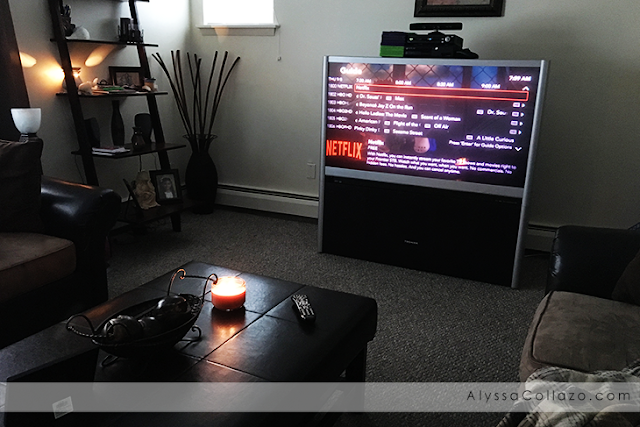 We can't live without Netflix, it is so necessary in my house. It would be awesome to have such an easy access to netflix! This is a pretty great deal considering most of us at home normally just watch netlflix aside from the local channels. Thanks for the information. I wonder if they are available in our country. Frontier Communications have some great features. I tried signing up but it isn't available in the location where I live. We are serious Netflix binge watchers in this house and having a feature like this would eliminate the Wii. That's interesting that it acts as an outlet for Netflix. I thought I had an easy way to view it, but maybe not. Safe to say my whole family is hooked on Netflix! I will have to check frontier out! Great tutorial! I love netflix and hope this option is available in my country. Sounds like a great feature. This is so awesome that there is a Netflix channel! Perfect. I guess you have not used the services of charter spectrum yet, there are also providing good Cable TV and internet services.